The Pianola Museum is located in the Jordaan, a 17th century quarter of Amsterdam, west of the old town centre. It is one of the smallest museums in the city. The museum has a collection of automatic pianos and related objects. There are nearly 20.000 music rolls in the museum archive. 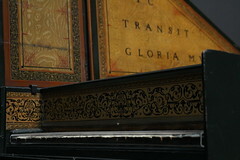 Nearly all of them can be played on the different instruments in the museum. The visitor will be informed about the history and the technique of the instruments. The attention however will always be focused on the music.